THE LEVANT – By Graham Fuller for the HUFFINGTON POST – The Middle East today is in as big a mess as I’ve seen it in a lifetime. By most measures it still continues to worsen, as ever new enemies to the U.S. pop up onto the scene. It is attracting polarized youthful jihadis from both East and West ready to fight us — all high on the blood aphrodisiac of beheadings and bombings. The U.S. and most other countries understandably seek to suppress the present savage civil conflicts raging in Iraq and Syria — now exemplified at its worst in the spread of the violent jihadi Islamic State. If so, Washington had best look first to ending the civil conflict in Syria, the most efficacious way to start unraveling the Middle Eastern knot. After the popular movements of the Arab Spring overthrew the Tunisian, Egyptian, Libyan and Yemeni leaderships in 2012, it looked as if the Assad regime in Syria would certainly be the next to fall. The U.S., Turkey, Saudi Arabia and other regional states gambled that a small push from the outside would suffice to overthrow Assad — never mind about who exactly would succeed him. In the event, the gamble failed and Assad has proven remarkably adroit in clinging to power, initially against domestic armed opposition, but then against foreign armed opposition backed by the U.S., Turkey, Saudi Arabia and others. The Syrian conflict enticed radical jihadis from around the Muslim world to fight against Assad. 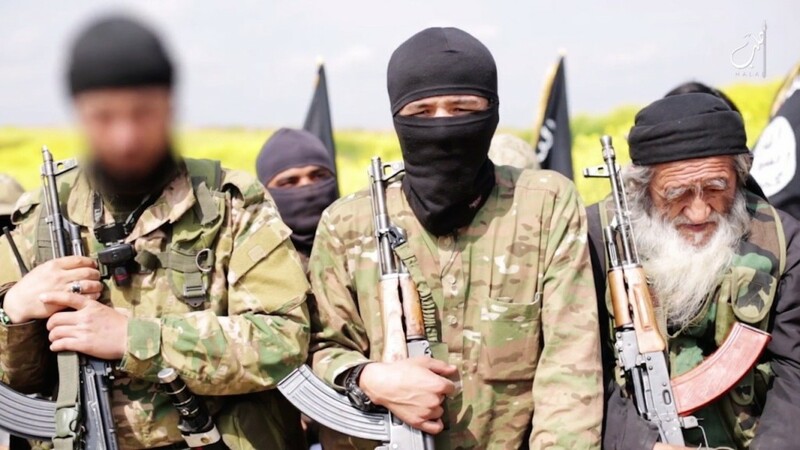 Many of these groups are sympathetic to ISIS forces and have facilitated the spread of the Islamic State into Syria — although there are some jihadis who are in fact hostile to ISIS — tactically if not ideologically. It is beyond the capabilities of U.S. intelligence, or any other western states for that matter, to gain the complex strategic and tactical insight and the instinctive feel to successfully manipulate the conflict in the directions we want. These conflicts are riven by extremely intertwined ideological, personal, regional, religious, tactical, and tribal differences that outsiders cannot control in any convincing fashion.Thus Washington has been reduced to the crude instruments of bombing and providing support to jihadi attacks against other jihadis. Nobody has a score card. And it all grows worse. Washington’s fear of the Islamic State has now come to supersede the fall of Assad as the primary U.S. goal. Yet it is nearly impossible to succeed in Syria when many of the forces we support against Assad also support the Islamic State, directly or indirectly. Assad is not going to be overthrown in the foreseeable future. He is hardly an ideal ruler, but he is rational, has run a longtime functioning state and is supported by many in Syria who rightly fear what new leader or domestic anarchy might come after his fall. He has not represented a genuinely key threat to the U.S. in the Middle East — despite neocon rhetoric. The time has now come to bite the bullet, admit failure, and to permit — if not assist — Assad in quickly winding down the civil war in Syria and expelling the jihadis. We cannot both hate Assad and hate those jihadis (like ISIS) who also hate Assad. We fight, crudely put, with al-Qaeda in Syria and against al-Qaeda in Iraq. But restoration of order in Syria is essential to the restoration of order in the Iraqi, Lebanese, Israeli and Jordanian borderlands. Permitting Assad to remain in power will also restore a Syria that historically never has acted as a truly “sectarian” or religious state in its behavior in the Middle East — until attacked by Saudi Arabia for its supposed Shi’ism. We have little to lose and much to gain in such a reverse in policy vis-à-vis Assad. If we persist on overthrowing him by force, we will perpetuate the disastrous status quo — an anti-jihadi campaign that the administration has already acknowledged may be morphing into a new open-ended war for years to come — all the while generating tens of thousands of new jihadis fighting new jihads that we cannot bomb out of existence. An end to the Syrian conflict and a return to the old order there will make it easier for Baghdad to develop policies aimed at drying up ISIS on Iraqi soil. Turkey, long a prisoner of its own failed gambit to overthrow Assad, will also gain from restored order in Syria, an end to the refugee flow and a chance to get back to serious negotiations with the now newly empowered Kurds. Yes, it would be nice to bring democracy to Syria, but we surely know now from experience that overthrow of dictators by force — especially by outside force — rarely ushers in peace and demonstrably better leadership. The U.S. has in fact all along been more driven by zeal to destroy an Iranian ally than it has by visions of democracy in Syria itself. At this point, the most urgent task at hand is to bring an end to war, to raging cross-border conflict that only brings anarchy, deeper polarization, more international armed interventions, heightened emotions, rage and recruitment videos for globalized jihadis. But wait, won’t Russia and Iran both benefit from an eventual reaffirmation of Assad’s power in Damascus? Absolutely. Does that make it the wrong choice then? Should we instead continue to throw good money after bad in the feckless campaign to get rid of Assad? To continue to bomb and bomb and try to find the least bad jihadi group around that will meet the exacting qualifications of hating both the Islamic State and Assad and loving us? Graham E. Fuller is a former high-ranking official at CIA. His latest book is “Turkey and the Arab Spring: Leadership in the Middle East” (grahamefuller.com).